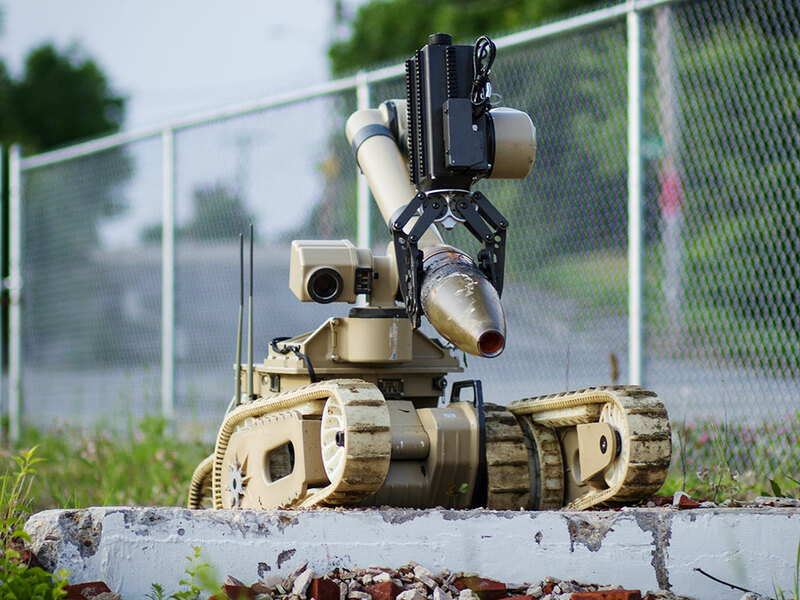 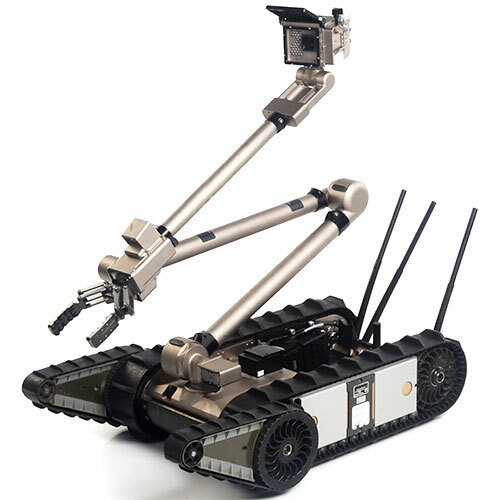 Kobra is a rugged, remote control robot designed to search for explosives and carry out reconnaissance missions. It rolls on tank-like treads, and its manipulator arm can lift heavy payloads. 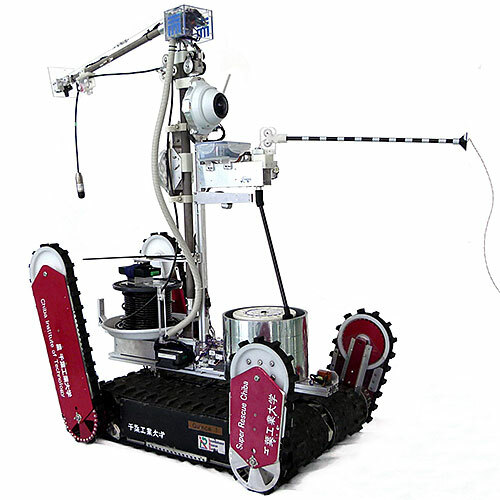 The robot has a dual-track system with articulated flippers. 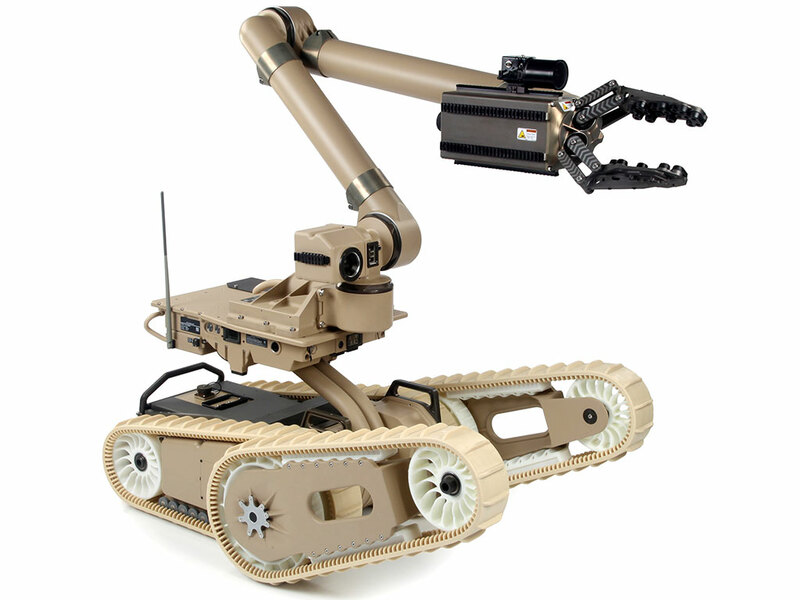 The robot uses its tracks and arm to extend its reach. 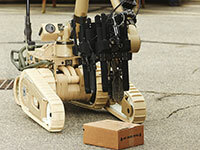 Kobra can carry objects up to 150 kg. 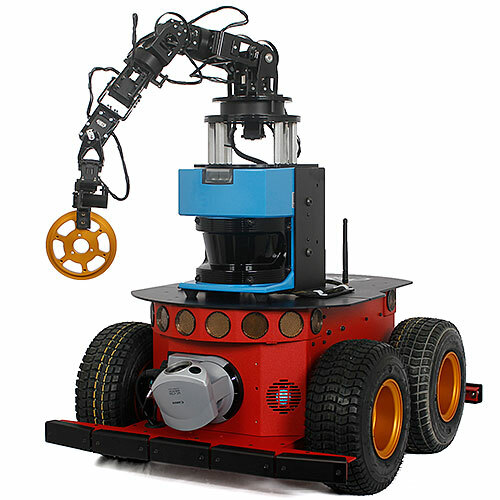 One of the toughest mobile robots ever built. 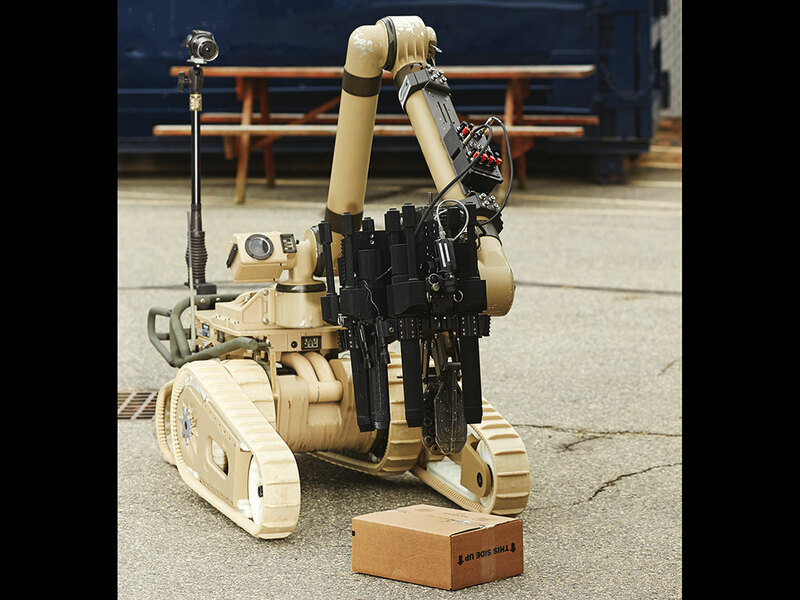 Kobra at the Army Warfighter Assessment. 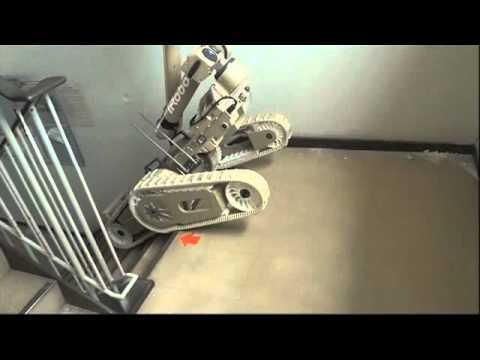 In 2011, several Kobras were sent to Japan to assist at the Fukushima nuclear plant. 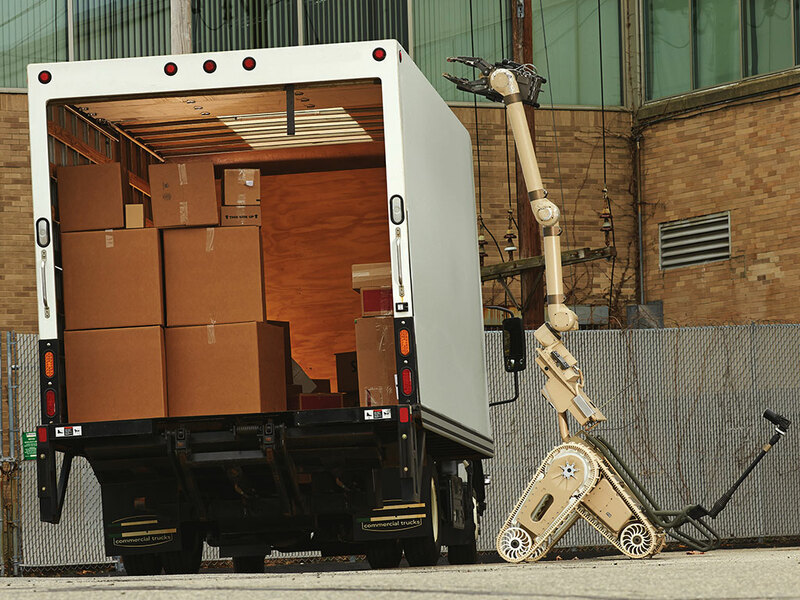 The Kobra can carry PackBots on its back and stand up on its tracks to deliver them through windows. 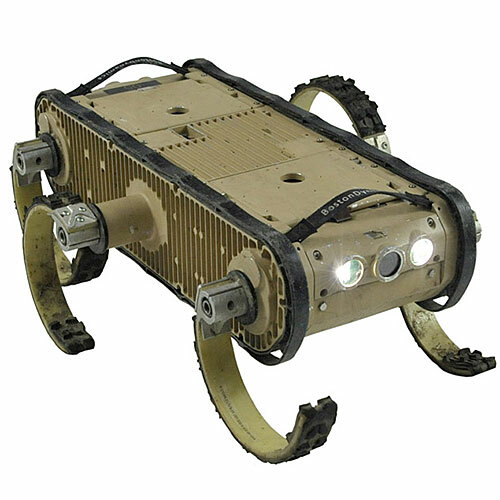 Capable of carrying up to 68 kg (150 lb) of sensor payloads. 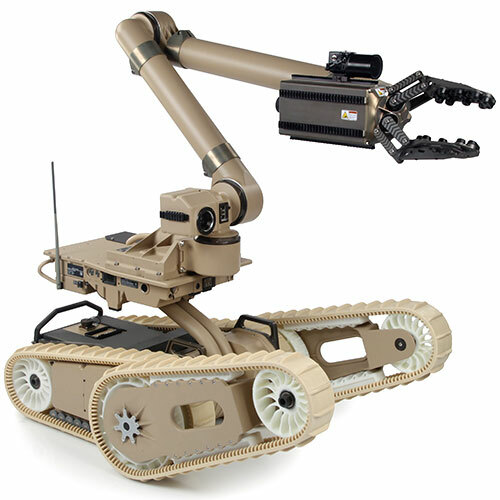 Able to lift up to 150 kg (330 lb) payloads with its manipulator. 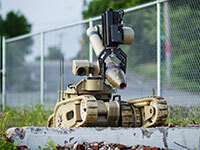 Camera, IMU, and optional sensors.